I Had To Try This Dessert! And I am eating it as I am typing this. I have seen some random “apple pie slab” recipes, and without really reading them, I figured I would cook something up that fit the bill. 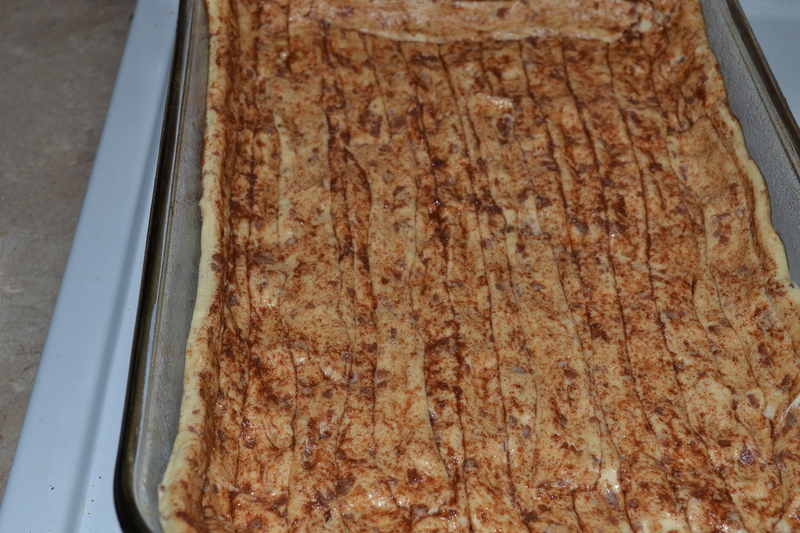 I took 2 tube containers of cinnamon rolls, and layered them in a 9×13 pan (sprayed with non-stick cooking spray). 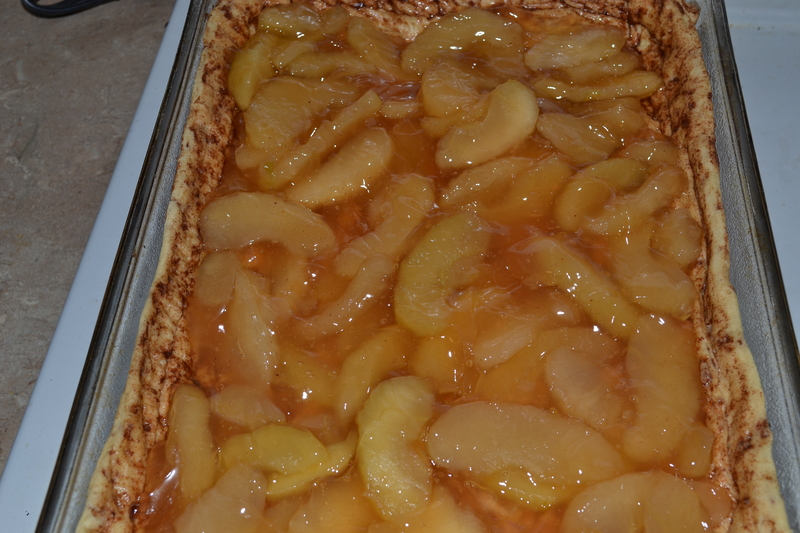 I cooked them for 5 minutes, just to seal the edges, and then added 2 cans of apple pie filling. I then baked them for the required time to make the cinnamon rolls, and let them cool. 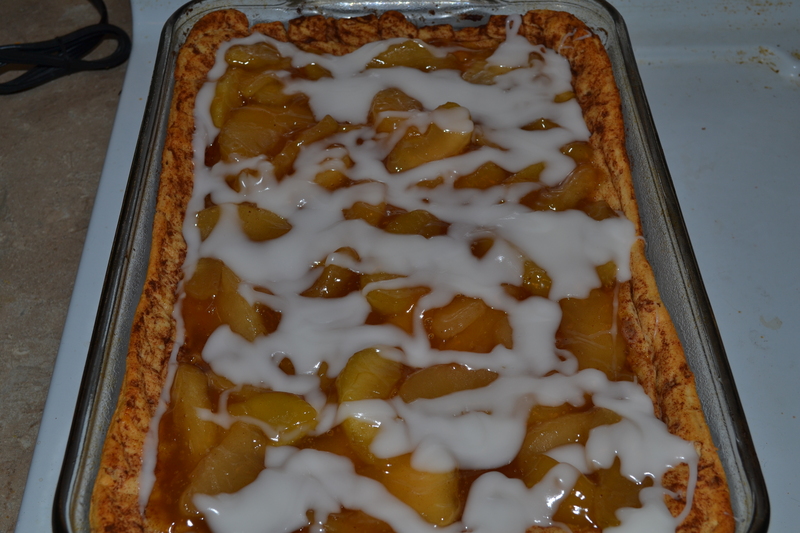 Take the cinnamon roll icing, smother your apple pie slab with it, and watch it disappear! I am still eating my serving (yes, I cut mine extra large), and my girls are eating theirs! This is quick, easy, and delicious. Bring on Autumn in Michigan!